The first peoples to smoke cannabis made it into a type of hash. It’s likely one of the longest standing methods of consumption. Hash goes by many names, including kief, hashish, charas, bubble hash, and many other subtypes. It comes in crumbles, bricks, balls, and powders. It is one of the most versatile weed products, lending itself to many different applications. 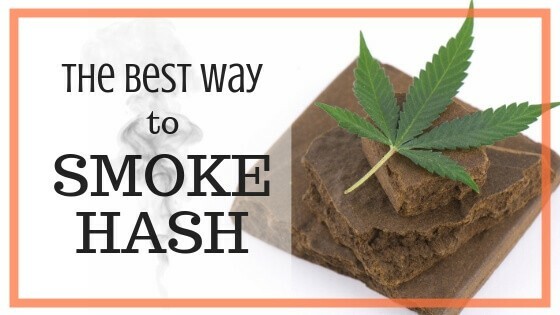 Here are just a few of the best ways to smoke hash. First, let’s review the basic characteristics of hash. Hash is the collection of the resinous trichomes from the cannabis plant. It’s color and consistency vary depending on original plant material and production technique. Usually, its light to dark brown, with a green tinge, and varies from super soft and sticky to hard and shiny. It is the most basic type of cannabis extraction and has a higher potency than the fresh flower material. Hash can contain as much as 70 percent or more THC, depending on brand and origin. Hash traditionally comes from India, but is widely used throughout Northern Africa, the middle east and into Europe. It is less often used in North America. Let’s start it off classy, with a compatible hash vaporizer. Do your research beforehand, as not all portable vaporizers let you use concentrates like hashish. The Kind Pen is a great option because you can use hash, and set an appropriate temperature. Most forums recommend vaping hash at around 375 degrees Fahrenheit to get the most out of the cannabinoids and terpenes. Vaping hash also helps to reduce the sometimes harsh smoking experience. Vaping it is a much mellower taste and less burn in the back of your throat. If you don’t happen to have a concentrate compatible vape pen laying around, you should at least have some rolling papers on hand. When smoking hash in a joint, or blunt, you can’t just roll out a piece for incineration. Hash doesn’t smoke well on its own, because it doesn’t stay lit. Instead, you’ll want to break or cut apart a piece of hash to combine it with a sweet strain of complimentary fresh flower. 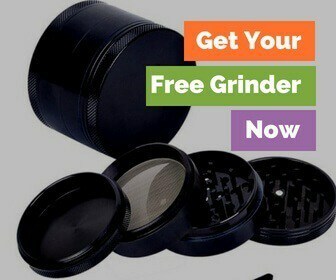 Roll a blunt, as per usual, but before you seal it up, sprinkle in the hash crumbs along the shaft. Make it an extra special occasion with some gold rolling papers. If you’ve never rolled a piece of hash into a blunt before, it's worth watching a few examples before getting started. Because you want to make sure the smoking experience is a smooth, consistent one. Nothing is worse than smoking a hash laden joint, and it stops burning or only burns to one side. With a few handy tips from the hash smoking experts, you’ll soon have a kief packed joint in hand. What’s better than a little bubbler packed full of hash? In a world of vaporizers, dabbers and other technologically advanced ways of smoking hash, we often forget about the beauty of a water bong. Whether you choose to crumble the hash over top of a bowl packed full of OG Kush, or smoke it by itself, a water bong will help filter the harshness of the hash out. Breathe deep, and savor the punch of the THC. Because when you smoke a bowl full of hashish with a water pipe, there is no question you’ve got a powerful high coming your way. Way back when, in your college or high school days, you likely came across a pair of hot knives at a party. Two pieces of cutlery, heated over an open flame, or simply in an electric burner have caused a lot of third-degree burns - but they’ve also gotten most of us high. On a burn proof surface (a kitchen plate works well), roll out a few tiny balls of hash. When bright orange, dab the tip on to the ball and smash between the two knives. Be careful, but bring this burning hot mess closer to your face and breath in. Definitely helps to have a friend around to help out. We say this is sketchy, only because of the way it looks. It’s just as effective as hot knives or smoking it in a joint, but doesn’t look so elegant. This method is often called the short straw method, or the sketchy pole method. It requires a straw (not surprisingly) and a long metal stick, usually a paperclip, safety pin or nail. Roll up a small ball of hash, and stick it on the end of the metal stick. Place the straw in your mouth. Heat the end of the metal and hash with a lighter, inhale the smoke through the straw. It’s a quick and dirty way to get high with kief. Even if you don't have any fancy tools at your disposal. The soda bottle is another technique for smoking hash and one which is often used when you don’t have a lot of fancy equipment. It’s a favorite among teenagers. All you need is an old soda bottle, a lighter and a cigarette. Roll a small ball of hash and place it on the end of a cigarette (some people prefer to cut the cigarette to make it shorter). At the end of the soda bottle, burn a hole just big enough to fit the cigarette. Place the cigarette in the whole. Inhale through the mouth, while lighting the cigarette. Nobody said this was good for your lungs, but it is a very intense head rush. Can you Turn Hash into an Edible? Short answer - yes, you can make hash into an edible. But, you need to decarb it first, which is the process of using heat to transform the valuable cannabinoids into something more useful to the human brain and body. Typically, most of the common methods of cooking with fresh bud work just as well for cooking with hash. Take your starter product, which is hash in the case, and combine with a healthy fat over a heat source. Common fats used in cooking with weed are olive oils, butter, coconut oil and even animal fats like lard. To get started, its easiest to work with olive oil. Over low heat, combine one gram of hash with one cup of olive oil. The hash should melt, and the oil comes to a simmer. You’ll need to simmer for roughly 30 minutes to release the natural chemicals from the kief and develop the full THC profile. Allow to cool, and strain through a cheesecloth. Depending on how strong your hash is, you can end up with some seriously potent infusions though. Your one cup of olive oil may contain hundreds of mg of THC. Use wisely, because it could knock you on your feet.